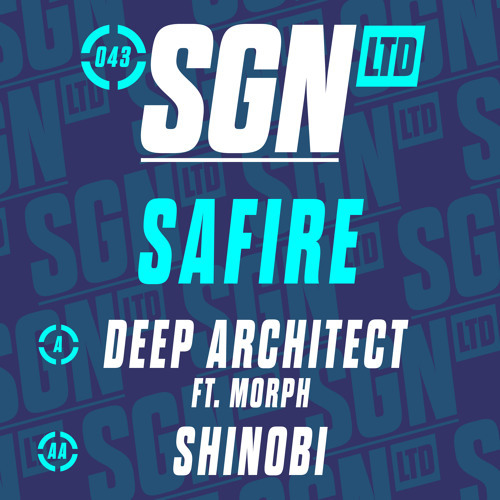 SGN:LTD return with two hyperkinetic neurofunk cuts from Melbourne’s Safire. Deep Architect provides the more traditional dancefloor roller, with tons of energy in the breaks and bass, and great attention to detail. On the flip, Shinobi explores a different rhythm and groove, with a more consistent progression that will doubtless have the ignorant masses of Youtube asking “where’s the drop?”. Check out the clips below and look for this one exclusively at Beatport from Feb 23rd. Shogun’s SGN:Ltd sister imprint return for their 41st release with two crisp liquid rollers from San Francisco’s Submorphics. Both tracks feature soft, rolling breaks and cheerful, melodic elements which achieve a summery warmth without descending into cheesy hands in the air territory. Fans of Random Movements, Makoto and DJ Marky should definitely give this one a look. Check out the clips below and watch out for the release dropping at digital stores from August 31st, with vinyl to follow on September 15th. Ed:it ups the ante for SGN:Ltd with the monstrous Sound Killer. Dubby chords and a ragga vocal sample provide the icing on a warped, twisted cake of heavy kicks, reverb drenched snares and monstrous bass. Over on the flip I Would shows the deeper side of Ed:it’s production, with a nice vocal cut up layered over a meaty package of bass and beats. This one doesn’t pull any punches either! Check out the A side below and watch out for the release dropping Feb 16th on vinyl and digital. SGN:Ltd’s run of top quality darker beats continues with a double-A side from Austrian production quartet Fourward. Black Tooth Grin delivers the kind of warped, gnarly neurofunk we’ve come to know and love from Fourward, who have arguably some of the best bass action in the game right now. Over on the flip Guilty Pleasures strips things back, delivering a menacing slice of splintered half-step. Think Fracture versus Noisia and you’re somewhere close. Watch out for the release dropping October 6th. 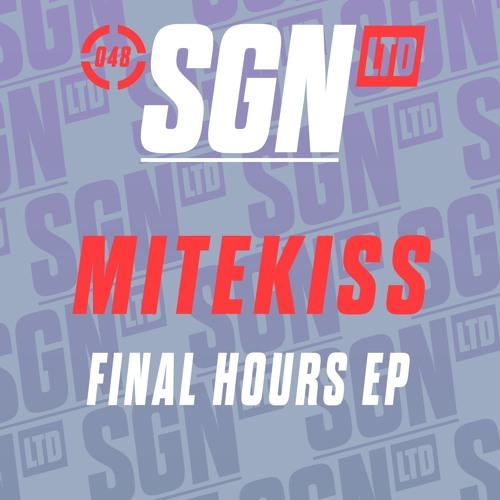 As if that wasn’t enough, the boys have compiled a tasty promo mix for the fifth installment of the SGN Mix Sessions series; packed full of tunes from Noisia, Phace, The Upbeats, and of course plenty of their own productions, this is straight up neurofunk badness. Check it out below and grab a free download! Somehow Technimatic always manage to tread that thin line of quality that is the difference between a top notch summer liquid roller and cheese-tastic nonsense. Their latest EP Intersection showcases this beautifully on opening track The Evening Loop. The super polished vocal has all the hallmarks of the sort of cheddar-step liquid that I normally find a bit tedious, but the sheer musicality in the melodies, the crisp beats and the near perfect composition are just impossible to argue with. The titular Intersection takes things a bit deeper, laying down a pretty meaty reese bassline and stripping the piano back in the mix slightly. Light enough to amp up a liquid set, tough enough to roll out in a tech set, this is definitely a versatile tool for the record bag. Sphere also delivers a tidy slice of melody driven D&B, taking the roll down a notch in favour of a stepping beat and some hypnotic lead synth work. As far as I’m concerned though, these are just pleasant entrees for the true main course, hitting home with the absolutely stellar Frozen Leaves. Up there with the best liquid rollers that the likes of Blu Mar Ten, Seba and Total Science have knocked out over the years, this tune is deep, rolling euphoria at it’s absolute best. Every single layer sits in the mix perfectly without overshadowing the other elements, with piano flourishes icing a big, warm, melodic cake of majestic proportions. This is *the* liquid tune of the year, and the soundtrack to your summer. Watch out for this one on vinyl and digital July 8th. Dose’s first single for SGN:Ltd left me a little disappointed; I’ve been a big fan of his releases over the years and his two 12″s for Subtitles were top notch, but Face Your Fears lacked the usual punch that I associate with the Kiwi producer. This latest pair of tunes shows that the man hasn’t lost his edge though, pulling out a veritable pair of dancefloor destroying neuro badboys! What Lies Within wastes no time heading straight for the build up, with big squelchy bass building to a massive drop with a tasty main hook. Simultaneous on the flip strips things back a little, hitting in with a varied drum break and a sub heavy, morphing bassline. To celebrate the release Dose has cooked up the second in the SGN Mix Sessions series, throwing down 30 mins of hard hitting neuro including tunes from The Upbeats, Calyx & Teebee and Teddy Killerz. Noice! Check out the mix below and watch out for the 12″ dropping on May 27th. To celebrate the release of the rather excellent Shock Treatment 12″ Xtrah has dished up a tidy little 30 minute mix for SGN:Ltd featuring a great run of techy selections. Emperor’s new cuts for Critical and the tasty Break remix of Cyrax (c’mon Break, release it already!) are some of the highlights in a mix full of great tracks, smoothly blended for your listening pleasure. Check it out below and grab a free download! SGN:Ltd continue their run of heavier tunes, with a new 12″ from the mighty Xtrah! Following on from Optiv & CZA’s big bad dancefloor business on the last release, Shock Treatment brings the darkness, combining some pretty gnarly low end with tight, varied percussion, skittering hats and snares filling in the tune and giving it tons of movement. Over on the flip Going Deeper defies the standard B-side convention and goes heavier rather than deeper! Clattering amens and some hefty kick drums give this tune just as much weight as the A-side, though the composition stops short of full-rinse, retaining some subtlety. Look out for this one dropping April 22nd on digital and vinyl. Optiv & CZA (both of Cause4Concern fame) have teamed up to make a 12″ for Shogun sub-label SGN:Ltd and it’s a bit of a belter! Bring It Back has all the hallmarks of an old school rave tune on the intro, with classic synth stabs and soft pads building things up. When it drops…well, just listen for yourself below! This one will be huge! Watch out for the release on March 11th.